From Minnesota Vikings punter Chris Kluwe comes an uproarious, uncensored take on empathy, personal responsibility, and what it means to be human. Chris Kluwe came to prominence when his blistering, hilarious Deadspin letter defending free speech and marriage equality received more than 2.3 million views and made news around the world. Now, the punishingly funny writer and fearless champion of personal freedom takes on everyone and everything else in Beautifully Unique Sparkleponies. In this collection of rousing, uncensored personal essays, Kluwe unleashes against intolerance, the misinterpretation of religion, guns, athletes' salaries, and the Pope while also considering time travel, the pay-per-view future of in-helmet cameras, and the end of the world. An enemy of bad behavior, Kluwe is an emerging voice in the fight against stupidity and ignorance everywhere. 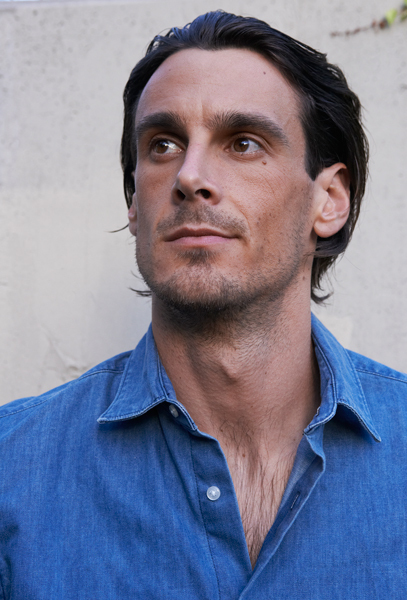 A former NFL player, Chris Kluwe has received wide attention for his controversial political essays and his TED talk on the future of technology, virtual reality, and empathy. Kluwe is the author of the acclaimed political essay collection Beautifully Unique Sparkleponies (Little, Brown); a contributor to the anthology Press Start To Play (Vintage); co-author, with Andrew Reiner, of the novel Prime: A Genesis Series Event; and the lead designer of the tabletop card game TWILIGHT OF THE GODS. He has been profiled in The New York Times, The Wall Street Journal, USA Today and Salon, and has appeared on The Colbert Report, Late Night with Conan O'Brien, NPR Weekend Edition, and Ellen. Published by Little, Brown, Little, Brown UK, and Hachette Audio in June, 2013. 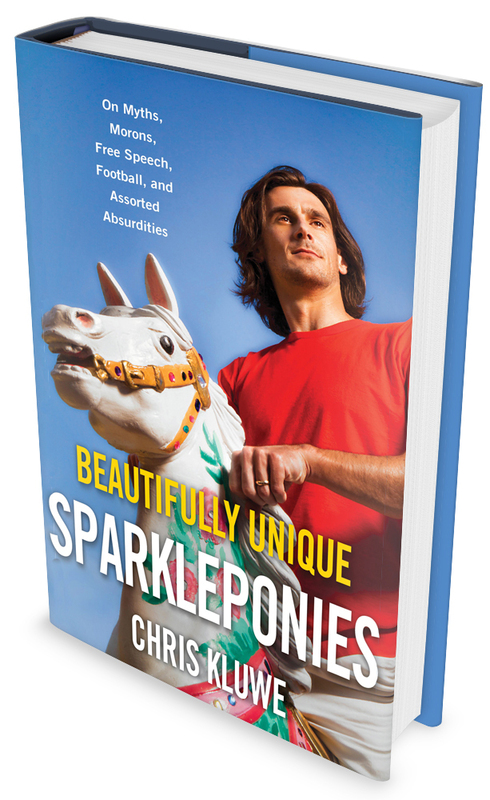 “It's a strongly worded, profanity laced political and philosophical manifesto from an unlikely new pundit: pro football player Chris Kluwe ... Mr. Kluwe's particular talent as a prose stylist lies in his creative use of inventive swear words.” — The Wall Street Journal's "Speakeasy"